And just like that, your once cutting edge smartphone has fallen into the abyss of technological gadgets. 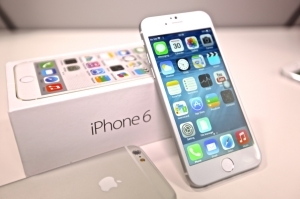 The world is buzzing with Apple’s introduction of the iPhone 6 in a snazzy presentation on Tuesday. Tim Cook, CEO of Apple, even went as far to call the new iPhone 6 – “the biggest advancement in the history of iPhone”. Consolidated Credit works with people every day who are making credit card minimum payments and struggling to get out of debt. And time and time again, a chunk of their income is going towards paying exorbitant television, internet and cell phone bills. Consolidated Credit is committed to helping people avoid unnecessary purchases and have compiled a list of things that budget-conscious Canadians should think about before buying a new iPhone, or any other expensive product. Is it really necessary? – There’s a good chance you are within arm’s length of your cell phone right now. And you’ve probably taken a picture, made a call and sent a few text messages in the past few hours. So… do you really need a new phone? The best saving money tip you will ever get is to avoid buying things you don’t need. And hey — Apple will release iOS 8 on September 17th, which will be like a fresh coat of paint for people who already have an iPhone. Best of all, it’s free. What are your priorities? – Showing off a new phone should not rank higher than paying off credit card debt or figuring out how to become debt free. A responsible financial plan involves living within your means and avoiding the temptation to make poorly thought-out purchases. If you choose to buy the latest iPhone instead of managing your debt, you need to reassess your financial lifestyle. If it’s not in the budget, it’s not for you – Buying a new iPhone 6, taking a trip to Florida or eating out at a fancy restaurant are not automatically negative. The key is whether or not you have planned for them and fit them into your budget. Getting rid of credit card debt starts with making a detailed plan about where all your money is going. Direct as much excess income as possible towards your debt as that will help to pay down the principle and get you out of debt faster. Within this plan, if there is room for buying a new phone or taking a trip, you can do it with a clear conscience. But make sure it fits into your overall plan for spending, saving and paying off debt.